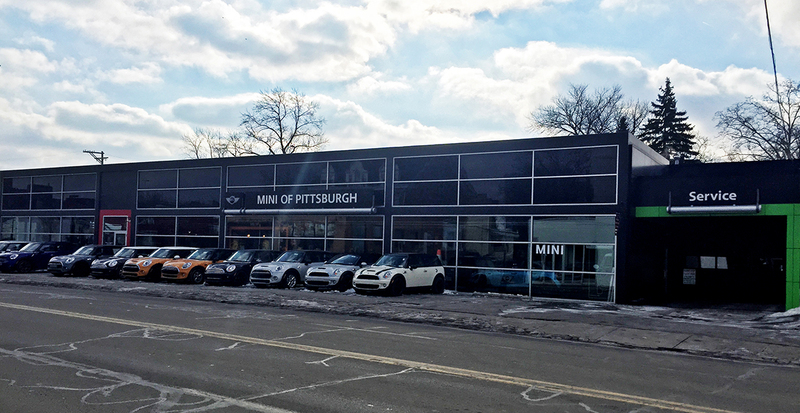 MINI of Pittsburgh is proud to serve the Pittsburgh, PA area. We provide MINI vehicles, service, and parts to all surrounding areas including Pittsburgh, Penn Hills, Ross Township and Mount Lebanon. We carry an extensive inventory of new, used, and certified MINI cars including the MINI Cooper Coupe, MINI Cooper Hardtops, and the MINI Cooper Countryman. In addition to being your Pittsburgh, PA area MINI dealer, we also have a MINI Service Department that strives for 100% customer satisfaction. Our knowledgeable mechanics are readily available to provide maintenance and repairs to all MINI models. No matter if you just need an oil change, or if you need a little bit more extensive MINI repairs, our MINI mechanics are happy to help. Be sure to visit our website to see current sales and view our large selection of vehicles, and Like Us on Facebook, Follow Us on Twitter, and +1 Us on Google+ to stay up-to-date with all the latest MINI news!